When you are an active and outdoorsy person before you have kids, it can be hard to say goodbye to that lifestyle when your kids come along. Because seriously, who wants to be stuck in the bush with a toddler complaining that their legs hurt?!? That’s where the Panda Child Carrier comes in. 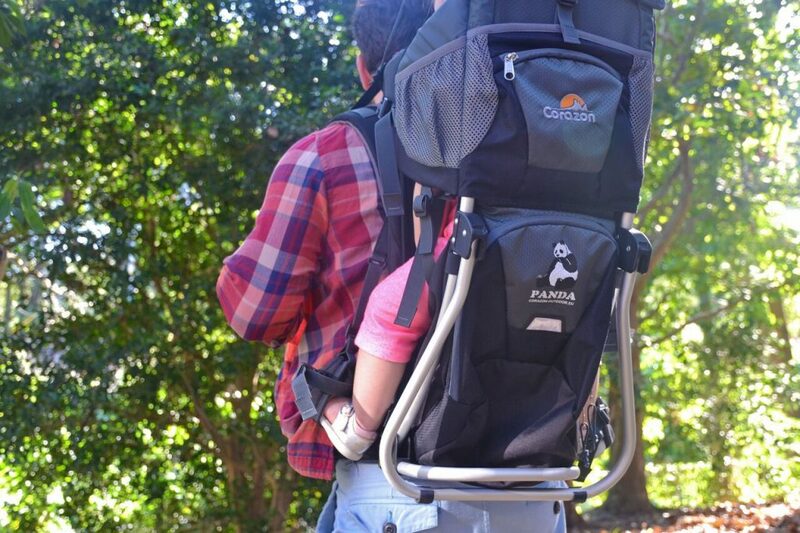 Designed for families that enjoy bushwalking, hiking and travelling together, the Panda Carrier is lightweight, adjustable and packed full of features. 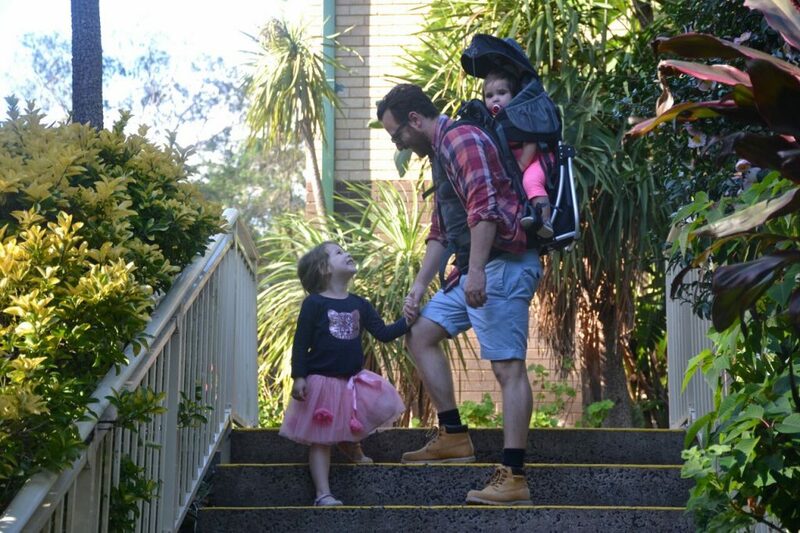 If you are familiar with other baby carriers, the straps on the Panda Carrier are very similar with adjustable buckles and straps to easily fit the carrier to you and your baby. 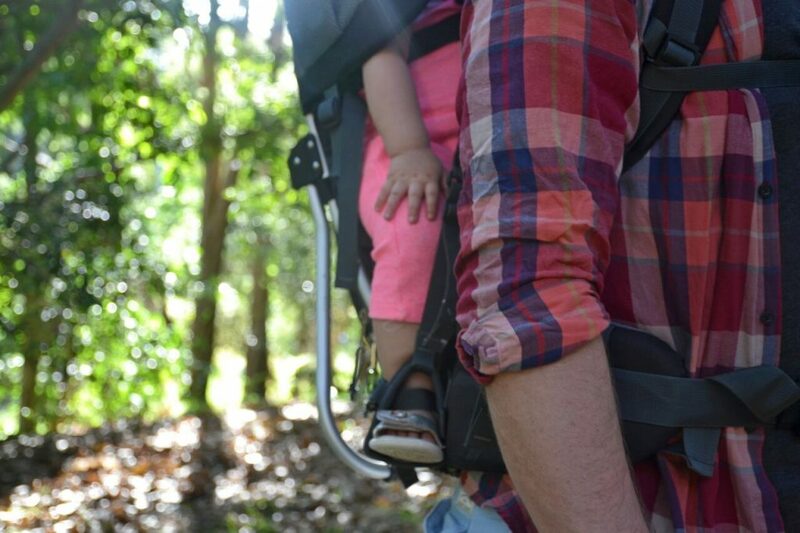 If you haven’t used a carrier before then don’t worry, it really is very straightforward. The first thing that you will need to adjust when you first use the carrier is the torso length. Setting this correctly will ensure that the carrier sits on your hips in the right place to distribute the weight of your child effectively (i.e. so you don’t feel like you are carrying a huge lump on your back). This adjustment is very simple with a velcro piece that is threaded through loops on the back of the carrier. There is a video on the Panda Carrier website that steps you through this as well as instructions in the manual that comes with the carrier. You will also need to adjust the harness and seat height for child. The remainder of the straps can be tightened simply by pulling the strap when you are wearing the carrier. An optional hip belt extender is also available to purchase if you need to length the strap around your hips. As large as the carrier is, it only weighs 2.8kg and is really very lightweight. It has a weight limit of 20kg and is generally suitable for children aged 1-4 years. Your child will need to be sitting up and supporting themselves before you can safely use the carrier. The Panda Carrier does have multiple storage pockets within the carrier, with a large zipped pocket under the seat, a compartment for a hydration system and other smaller pockets throughout the carrier. One thing to be aware of is that the total limit for the weight the Panda Carrier can carry is 20kg including the weight of your child as well as any items you are carrying in the storage pockets. One of the outstanding features is the in built sunshade to protect your child from the sun. For a product designed for use in the great outdoors, they have really made sure to cover all bases. 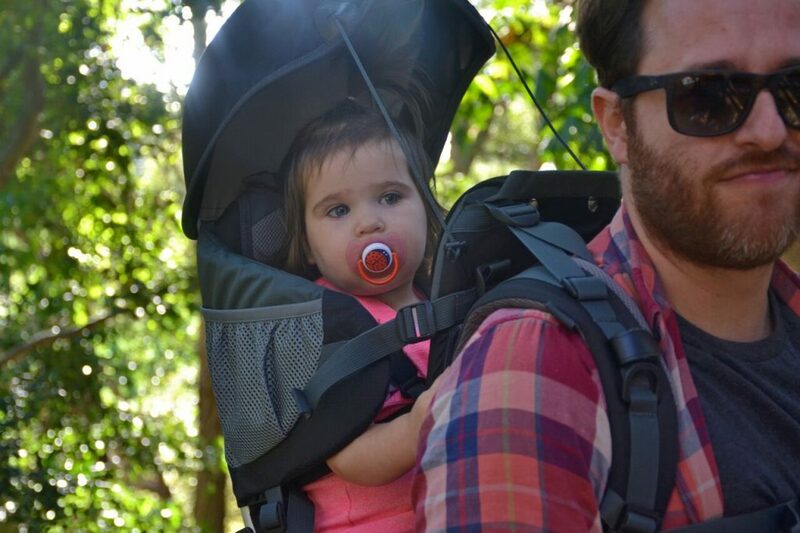 The 5-point harness inside the carrier holds your child in place safely and securely and the feet stirrups prevent their legs from dangling about, important considerations when you are navigating a bushwalk or hike with the kids in tow. When your 18-month-old is trying to climb into the carrier each time she sees it you know you have a winner on your hands. The Panda Carrier is sturdy, with quality materials and construction and has many great features that make it a superior product in the babywearing market. * This is a sponsored review from Panda Child Carrier.